When a blip of inspiration hits you, you have what I like to call an “idea seed.” This isn’t a story, not yet. It’s just an idea that may very well turn into a story. The problem is, most writers don’t see that. 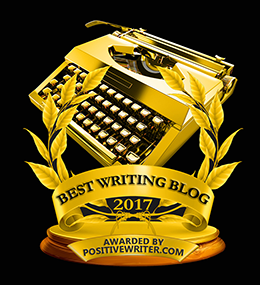 They get the blip of inspiration–write a story about losing love set in the 1930s–and they just sit down and start planning or start writing. But they’ve skipped an entire step in the process. Before you can turn your idea into a story, you have to develop it. Your idea needs marination time, it needs to be poked and prodded and questioned. All of this is part of the development process. And it’s how you take an “eh” idea and turn it into a “gotta read that” story. I’m big on examples, so here’s one from my writing life. A few months ago, I got an idea seed for a story about a girl who has bad luck with love and who always gets dumped or broken up with, sometimes in an extreme manner (Think: the infamous Carrie Bradshaw Post-it note break up incident). But how freaking boring is that?! OK, maybe it’s not totally boring. Maybe some readers in my genre (Chick Lit/Women’s Contemporary Fiction with Romantic Undertones) would be interested in it. But would the majority of readers in my genre? Would it become a smash-hit bestseller? Because there are already a ton of other books out there with a similar storyline. What’s to differentiate this story from all the others? Most writers don’t think this way, because they believe nonsense like you need to write for yourself and not for anyone else (not true, by the way, unless you only plan on writing for yourself. If you want to be published and get a readership, you need to take your reader into consideration when you’re choosing which ideas are worth writing). Being a professional writer is about having business sense and knowing what will sell and what won’t. It’s about putting your soul on paper, but doing it strategically and with purpose and intention. I think like a pro writer, so I knew right away that my idea seed wasn’t enough. It was just a spark, but I needed the whole fire. And, well, not long after that, something came through for this story that was so incredible it actually freaked me out at first. Because I could actually see it becoming a bestseller in my genre. I could see it being turned into a big-screen Hollywood rom-com that grosses millions of dollars at the box office. It’s scary to think you have a story with that kind of potential. And what came through to me was this: The Breakup Coach. A story about a woman who is a “break up coach.” She would actually help people break up with their spouses and significant others. I’m imagining it like “Hitch” in reverse (Hitch, if you haven’t seen it, is a movie about a “love doctor” who helps shy, quiet men get the women of their dreams). It’s taking “a story about a girl who has bad luck with love” and bringing it to a whole new level. In this case we have character as concept, because her job (being a “break up coach”) is so far out of the realm of what is “normal” or what you’ve seen before that it puts a totally unique spin on things. Now can you imagine if I had just sat down and started planning (or, even worse, started writing), not truly seeing the big picture or taking the time to develop the spark into an actual fire? I’d have ended up with a much different story. One that wouldn’t have been nearly as good as it’s going to be now that I’ve elevated it to this level by infusing it with Concept. This is why the story development process is SO important. More so than even the planning process (although that’s super important too). Because without the story development process, you may just end up wasting your time writing the lame story idea that has the potential to really shine if you just gave it the time it needs to become something more. Patience becomes an important virtue in this case. I know it’s hard. It’s SO HARD to stop yourself or put the brakes on when you’re burning with an idea that you want to just sit down and start working on. It’s super hard. Are you done trying to write a story before it’s ready to be written? Ready for a whole new way of turning an idea into a fully developed story plan? Check out the Story Roadmap Kit. Thanks for the post, Jennifer. I find developing story ideas into interesting story concepts difficult. Your anecdote inspired me to see my problem from a different angle. @Ron You’re welcome! Glad it helped. – I reversed genders and personalities. – I reversed the situation. I created a love triangle with a bromance twist, and I had the girl absolutely despise the second guy, and that has a twist too. – I made a guy walk the talk when it comes to principles, and I reversed the situation again. Instead of a married professor who sleeps with an underage/much younger student, I made the age gap very tiny, the parties single and the professor horrified at the thought of becoming “those” guys. And since the scandal potential is low, the girl is furious she’s not being pursued. I love playing with ideas until I fall in love with them, and reversing situations work just as well when you are working on non-fiction articles. @Pinar I love, love, LOVE your ideas! That’s a great way of changing things up.